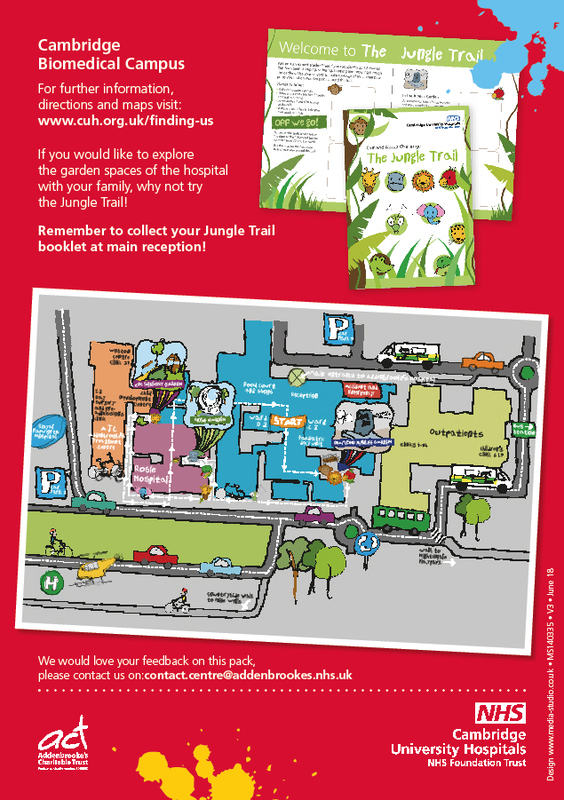 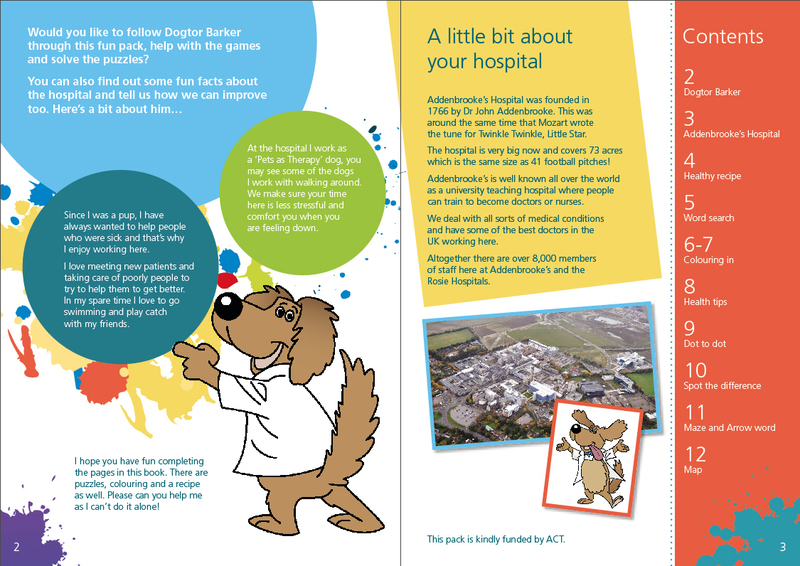 The booklet is full of fun things to do in and around the hospital. 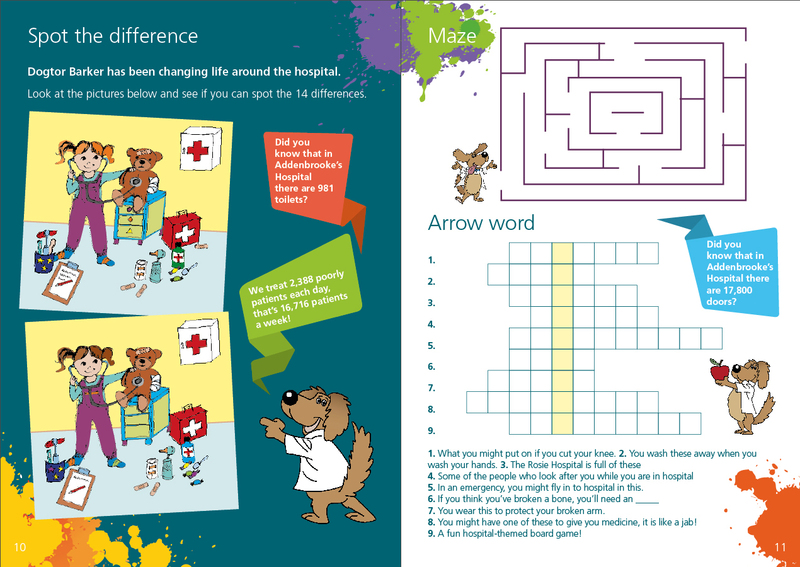 The pack is funded by the hospital's charity, ACT. 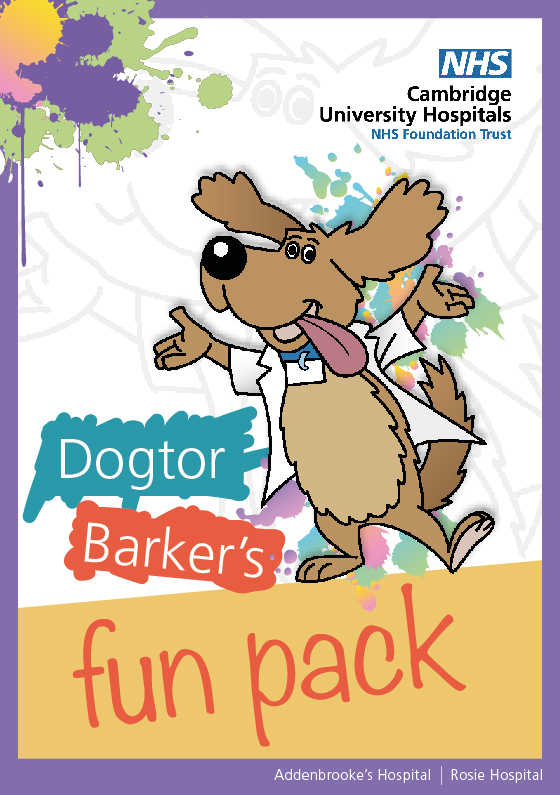 Based on an original idea by Fern Clark, it was designed at CUH by Media Studio and is available for children to collect free of charge from the hospital's main reception desk.